This pretty much sums up this game week. I started off way too fast and didn’t do any play-testing. So here we are. Hungry, filthy, exhausted, and regretting several decisions. Every night when the family was put the bed, the temptation to start over was strong, but I really love them and didn’t want to lose them, so here we are. But there are not many pictures. 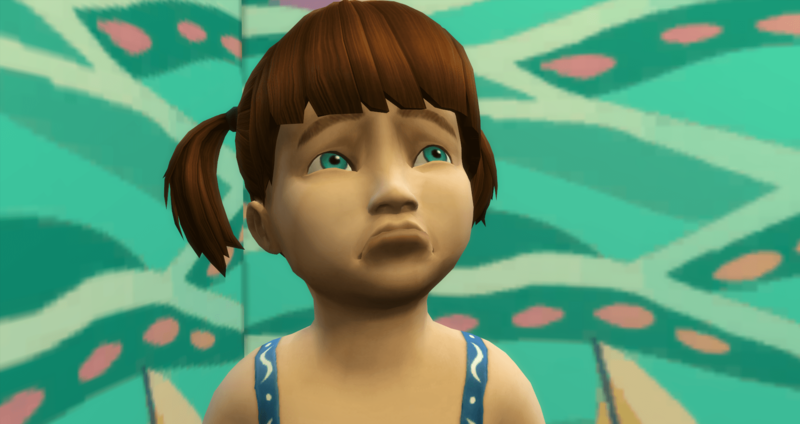 Just know that there were many toddler tantrums. Lots of passing out. Lots of green fumes. And lots of threats from social services. Brittany and Brantley got absolutely nothing done on his career, her books, or their skills. But the kids are still alive. 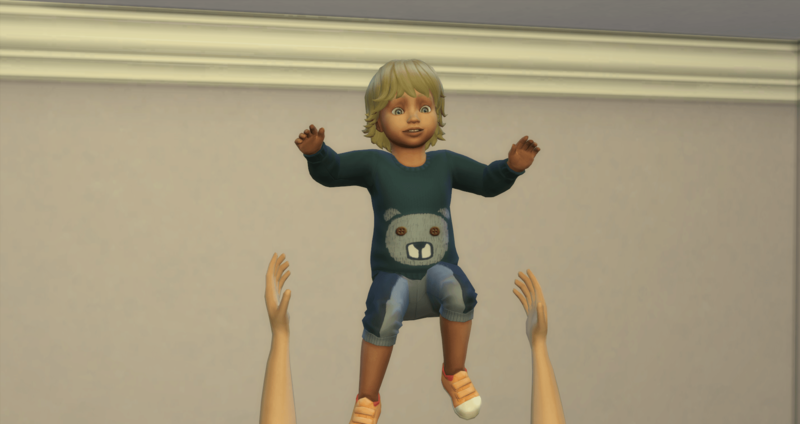 They have all reached at least level 3 in every skill as a toddler. And, the house is full – we have the first six kids. 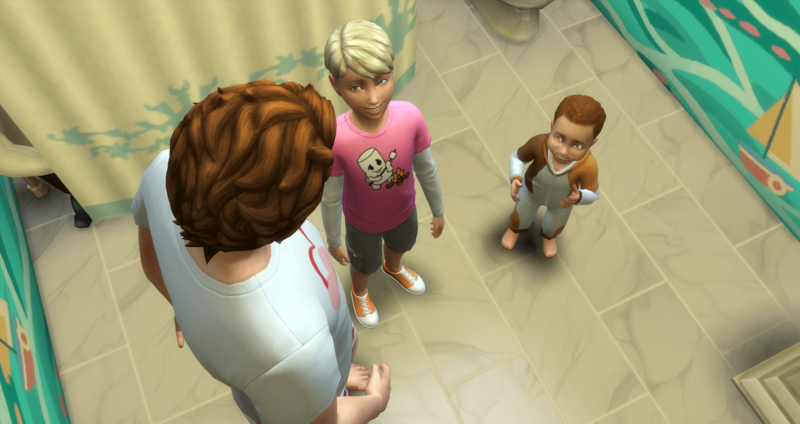 Brantley needs to socialize with his offspring to complete the second level of Successful Lineage so he has a chat session with Bastian and Oliver in the bathroom. This also has the added benefit of bringing his charisma up a level, which he needed for his career. The boys share a satisfied grin afterwards. 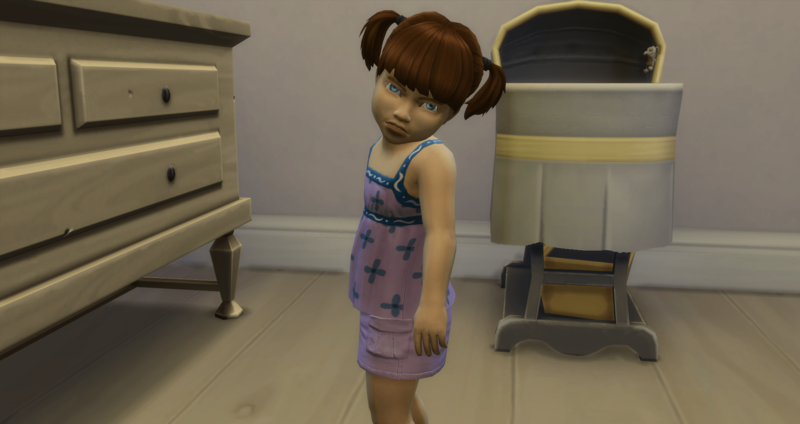 Leigha becomes a toddler with an attitude. 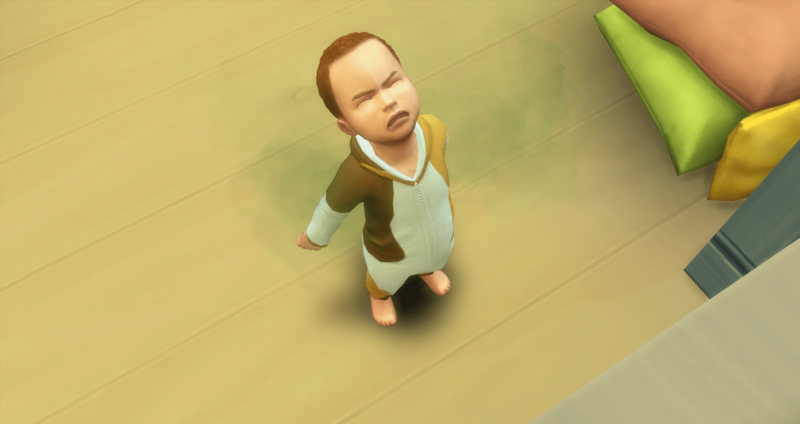 She is fussy and it shows immediately. And truthfully, she looks really evil here. 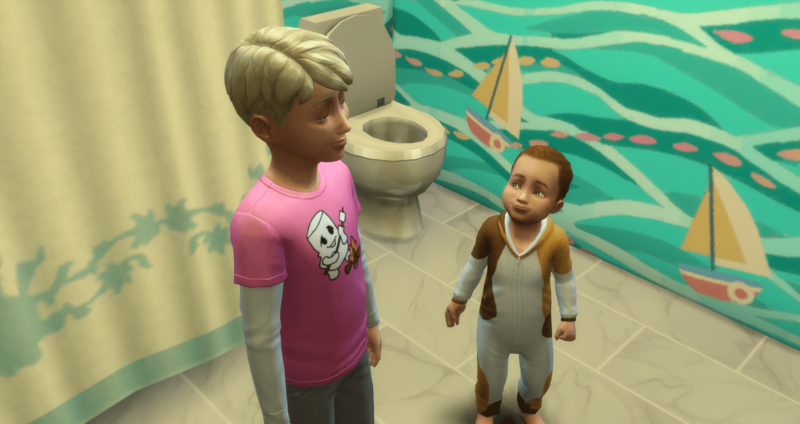 More scolding for playing in the toilet. 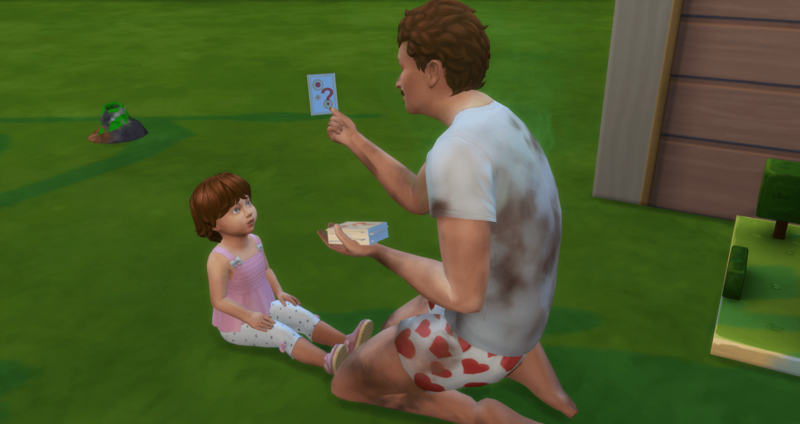 Brantley is trying to get Oriana’s thinking skill to level 3 before she becomes a child. 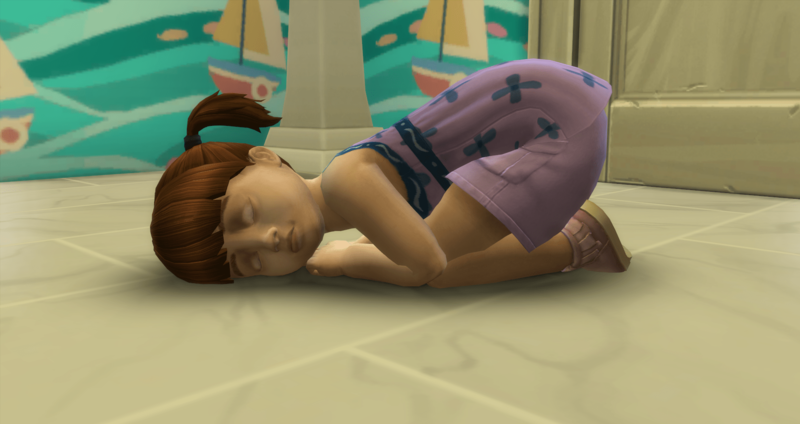 Leigha spends more time passed out on the floor than asleep in her bed. 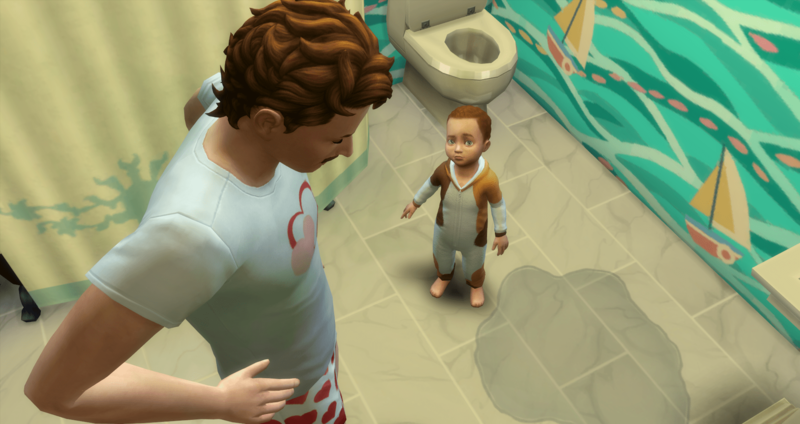 But – she is potty trained. 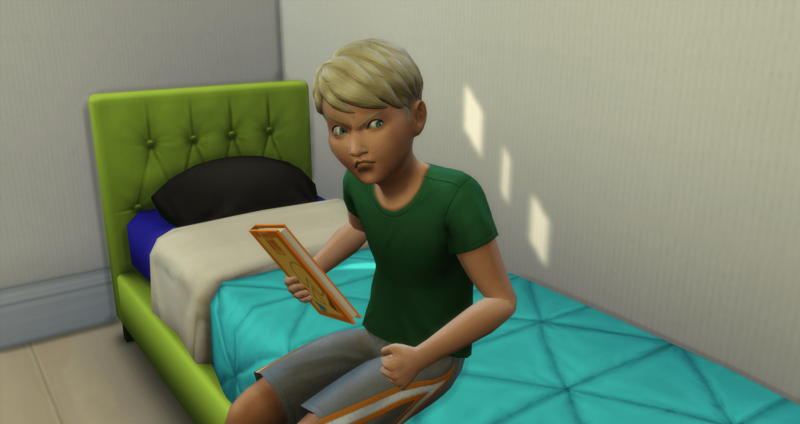 Bastian has such an evil look while he does his homework, which he tried so hard to not do. He dropped it from his queue three times. One thing about this challenge, these kids have way too much free time and they spend it making messes. Generally my toddlers and kids are kept too busy to have time for this. 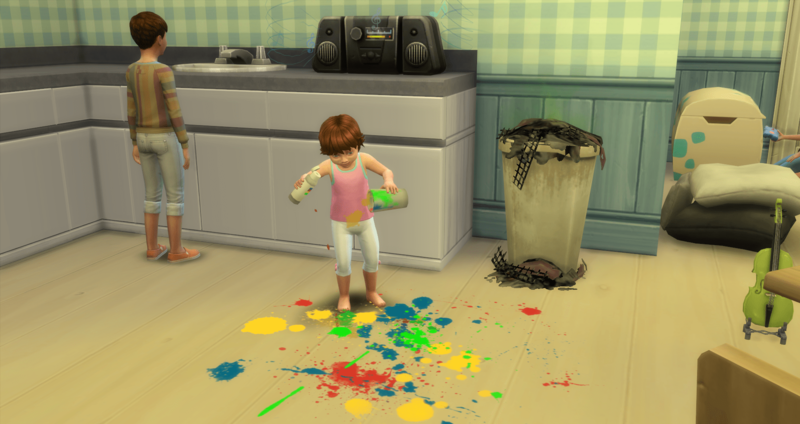 And that trash can – oh my word – no wonder I can’t get them in the playful or inspired moods. 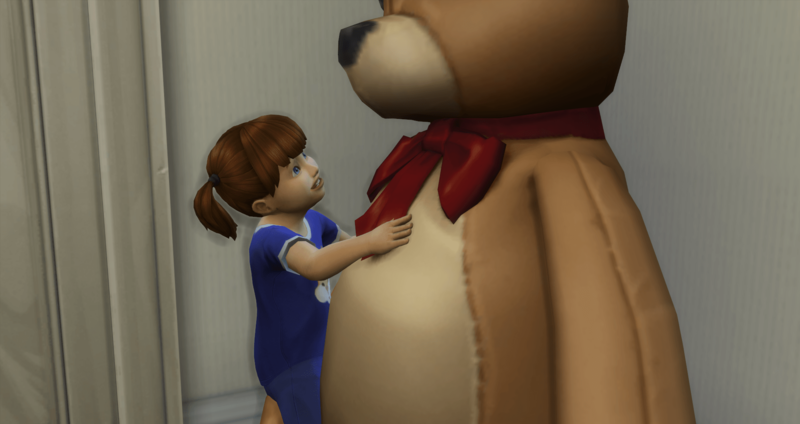 Leigha is spamming hugs to max her communication skill. I am still looking for the spammy way to level imagination (a parent reading to the child? ), movement, and thinking – so if you know of one, please let me know. Oliver is in time out for making a mess of his own. 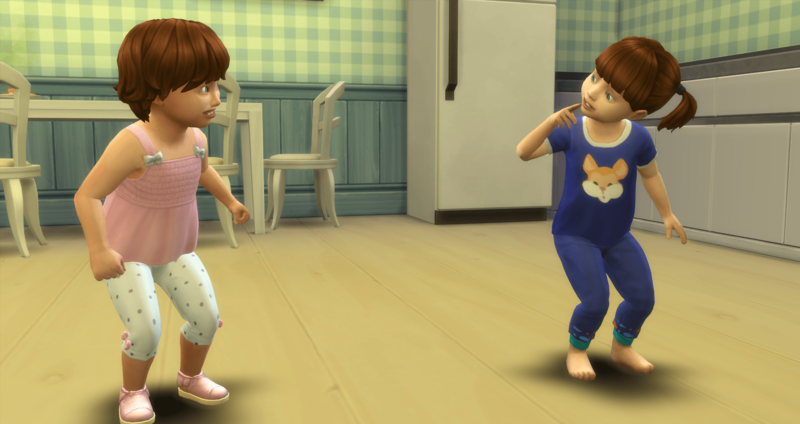 Leigha and Oriana take some time out for a dance party so that I can get Patrick aged up. 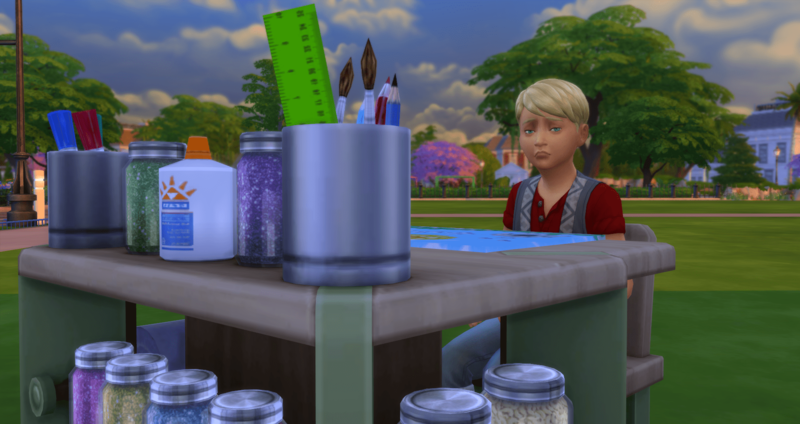 Speaking of Bastian – he completed his childhood aspiration of Creativity. 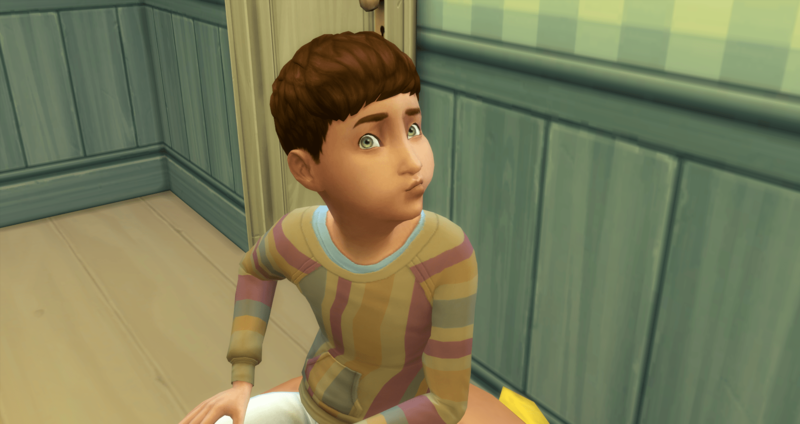 He has a B in school and will need to get that up to an A but for the most part he gets a break for the rest of his child days. He is 5 days from his birthday. He maxed Communication, Imagination, and Potty as a toddler and then Creativity as a Child. A look at the house as we leave them on Sunday night – it is clean for the most part (except for the bathroom sink and one potty chair) and nothing is broken at the moment. The family will look into a new house at the beginning of the next play session.